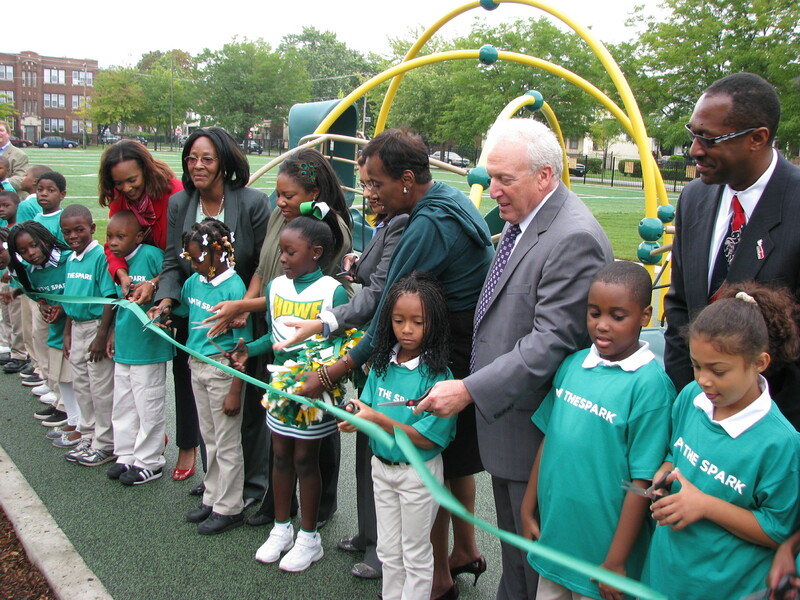 For the dedication ceremony and press conference at Howe, local residents and students joined state Rep. Camille Lilly (D-Chicago), Ald. 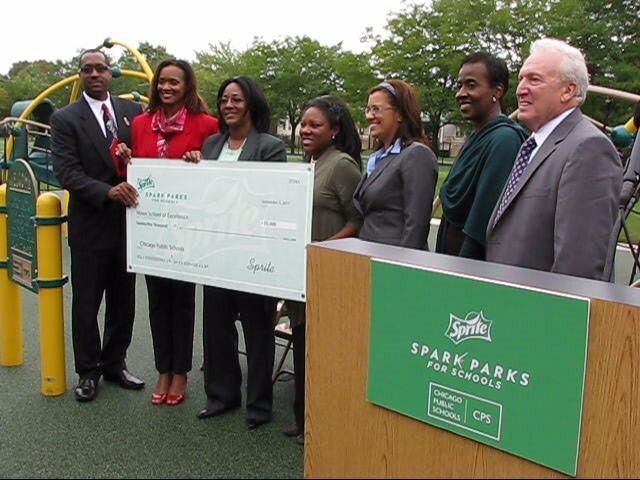 Emma Mitts (37), Coca-Cola/Sprite executives and Chicago Public School officials. Mitts, who has been the alderman of the ward for the past 12 years, said that while looking at the “sparkling” kids who took part in the event and were obviously happy about the new playground, she was considering what it meant to stand there and see something new come into the neighborhood. He added that he would continue to work with Mitts to get other assistance for other public schools in need. “There are other children in other schools who want this,” Feinstein said. 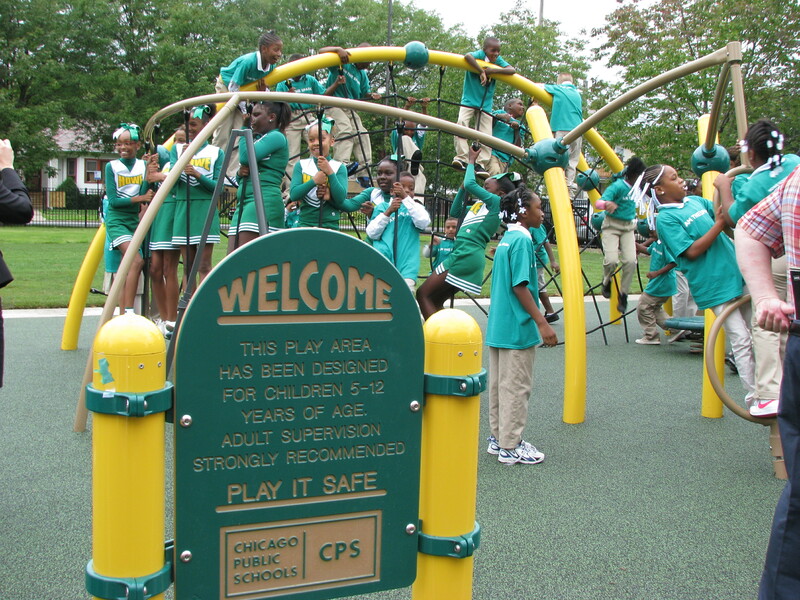 Dr. Noemi Donoso, the new Chief Education Officer for Chicago Public Schools, said the park was a “symbol” for the future and “the adventures” that lie ahead for everyone. Morris Smith, public affairs and communications manager for the Coca Cola Midwest region, told Residents’ Journal after the event that the company built the playground at Howe to connect with the West Side community, since they have a facility located at the intersection of Division Street and Cicero Avenue. “We want to make sure that we can do something that’s sustainable and make a long-term difference in the community,” Smith said. Details of the corporation’s program provided to RJ state the company is planning to put approximately $2 million into building or revamping outdoor spaces such as basketball courts, community spaces, playgrounds and athletic fields in at least 150 American cities. “As a result, an estimated one million young people will have greater access to recreational spaces where they can be inspired to be active and creative,” according to their fact sheet. JEWEL-OSCO has also partnered with the Sprite Spark Parks Project, and will provide grants totaling $20,000 to be distributed to 12 schools in the Chicago area and surrounding suburbs over the next month, to use toward purchasing new athletic equipment and playground improvements, according to Oliver Bowe, distribution manager for Coca Cola, who moderated the event. Funds will be used for schools in Chicago, Des Plaines, Normal, Westmont, Waukegan, St. Charles, Lombard, Homewood and Yorkville. This entry was posted	on Monday, September 12th, 2011 at 9:11 pm. You can follow any responses to this entry through the RSS 2.0 feed. You can leave a response, or trackback from your own site.